The markets are off to a roaring start this morning after strong quarterly results out of Netflix, Inc. (NASDAQ:NFLX) and Goldman Sachs Group Inc (NYSE:GS), as well as September inflation numbers that are pushing towards the Fed’s goals. In this daily insider trading article, we’ll take a look at five companies whose insiders reported noteworthy, spur-of-the-moment trades yesterday. They include insider buys at two companies near 52-week lows, and insider selling at three companies enjoying strong years. J. Hyatt Brown, the Lead Independent Director of International Speedway Corp (NASDAQ:ISCA) acquired 10,000 class A shares on Monday at an average cost of $31.186. Mr. Brown now has indirect ownership, along with his spouse, of 52,402 class A shares and 9,000 class B shares, as well as direct ownership of 897 class A shares. 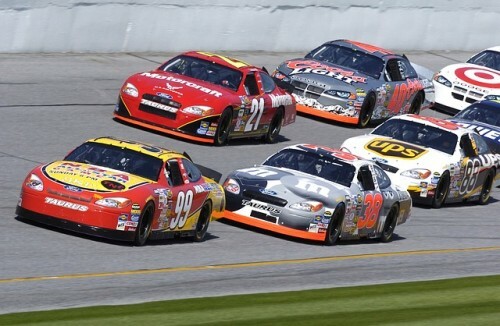 International Speedway Corp (NASDAQ:ISCA) shares lost over 10% between October 6 and October 13 after the release of the company’s third quarter earnings. Despite solid quarterly results for the motor sports racetrack operator that included profit of $0.03 per share and revenue of $129 million, investors balked at the muted guidance and 5% decline in motor sports admissions revenue. Peter Algert and Kevin Coldiron’s Algert Coldiron Investors sold off the 20,063 International Speedway shares that it owned on June 30 during the third quarter. Another insider at Aehr Test Systems (NASDAQ:AEHR) has sold off some shares as the company’s stock has skyrocketed to 5-year highs in recent weeks. David S. Hendrickson, the company’s VP of Engineering, unloaded 20,000 shares between October 14 and October 17, at an average price of $2.80 per share. Mr. Hendrickson now has direct ownership of 45,663 shares of Aehr Test Systems. Aehr Test Systems (NASDAQ:AEHR) shares have surged by over 50% year-to-date, with the latest push coming on September 23 after it released preliminary results for the first quarter of its fiscal year 2017, which showed a surge in quarter-over-quarter revenue, income, and backlog. The company also announced a private placement of $5.9 million in shares on the same day. On October 10, Craig-Hallum initiated coverage of Aehr with a ‘Buy’ rating and $5 price target, suggesting immense upside potential remains. Analyst Christian Schwab believes that the company’s new products have it poised for strong top- and bottom-line growth. Ken Griffin’s Citadel Advisors acquired a position of 12,012 Aehr Test Systems shares during the second quarter. We’ll check out the latest insider trading activity at three other companies on the next page.